August is in full force and July behind us; now is the time I share with you my favorite discoveries and such from this past month. This stuff is simply divine. I purchased it on a whim, as a last minute add on at Sephora and I am so glad that I did. 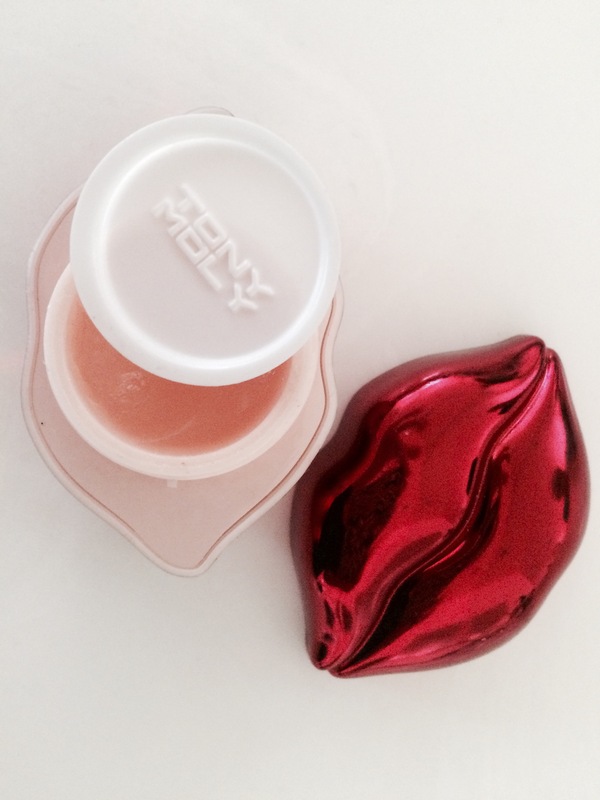 It’s a simple colorless balm that glides on your lips smoothly leaving them soft and supple. The smell is heavenly, like pure honey. I can’t get enough. Korean Beauty is really big right now and they have some really unique products and concepts. I’m thinking my next subscription box will be of the Korean beauty variety. (suggestions?) I look forward to trying more Tony Moly products as well! I have been obsessing over Nip+Fab all of July and I still am. I love their products and what they do for my skin. My skin feel so clean, refreshed and tightened directly after use and it has greatly improved my skins’ texture and some other imperfections. I use many of their products but the 3 above are the products I use consistently as a part of my daily routine. No Needle Fix Serum: I follow up my cleansing with this serum in the morning to lock in moisture, smooth, tighten, prime and prep my skin. This is a fun product to try out. It’s a suede-like matte finish lip crayon with a little smudger on the opposite end. It’s purpose is to give the lips a kind of ‘ombre, gradiant type look’ blurring the edges of the color and fading it out at the outer edges of the lip. I love the way it looks on me and it’s a fun little trend to try out. Maybeline’s site shows an example of the blurred look. One tip for getting this look from my experience is to use very little in the very center of the bottom and top lip if you want the blur. It’s very pigmented and goes a long way. If you are not a fan of the look it’s still a great lip product for a full on bold matte lip. I found this little gem while searching for a different NYX product at Ulta. There was only one and I snagged it. It shows no longer available at Ulta but I found it via NYX’s site. It really is a great palette boasting both neutral and smoky/bold shadows as well as a contour, highlight and blush shade. Perfect palette for weekend trips/travel. The colors worked well on my light/medium skin tone, lasted pretty well and blended well. I’m a fan. I can’t believe how much I love this foundation, the formula, the perfect color match, the coverage, the staying power. I read some good things about this product and figured at 7.00, why not? I use little of the product and get full coverage that hides all of my flaws and imperfections without feeling too heavy or the need for any additional products. I do not get oily throughout the day and it doesn’t make my drier areas look too dry. I typically use high end makeup and this is honestly a good foundation. I have been crushing over some really fantastic manis lately so I had to try the trend myself! This is a really simple version of the negative space mani that can be achieved with the use of some striping tape. I first used a base coat and chose a white polish for my mani. I decided to do an accent nail with multicolor pastels. After my base coat was dried thoroughly I applied striping tape in random patterns to the nails of one hand and painted all but my ring finger white, let dry and repeated. For my accent nail I used a smaller nail art brush and applied 3 different polishes to my nail as shown above. After nails were completely dry I removed the striping tape strips, one at a time, slowly. Last I added a Gel top coat…and repeat. Voila! I hope you enjoyed my July favorites! Have you tried any of these products or trends? What were your thoughts? please share!